I am a collector of goodies. 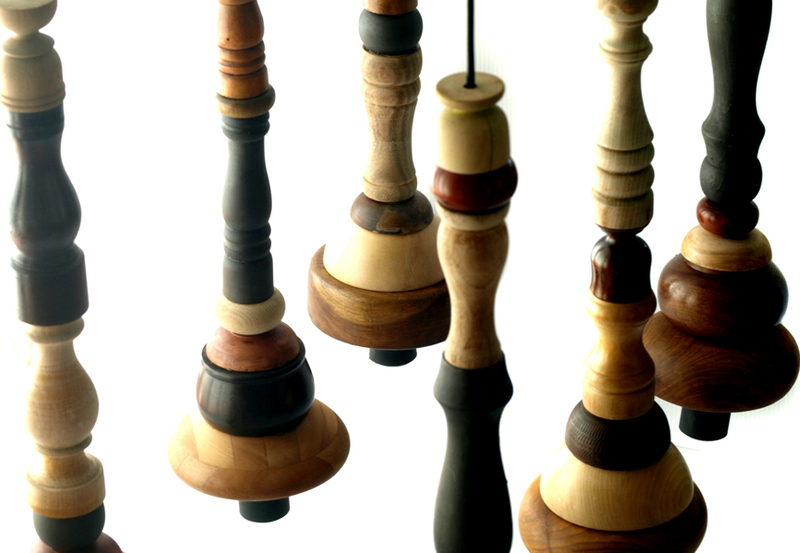 I am energised by the vibrant rhythm of similar items grouped together. 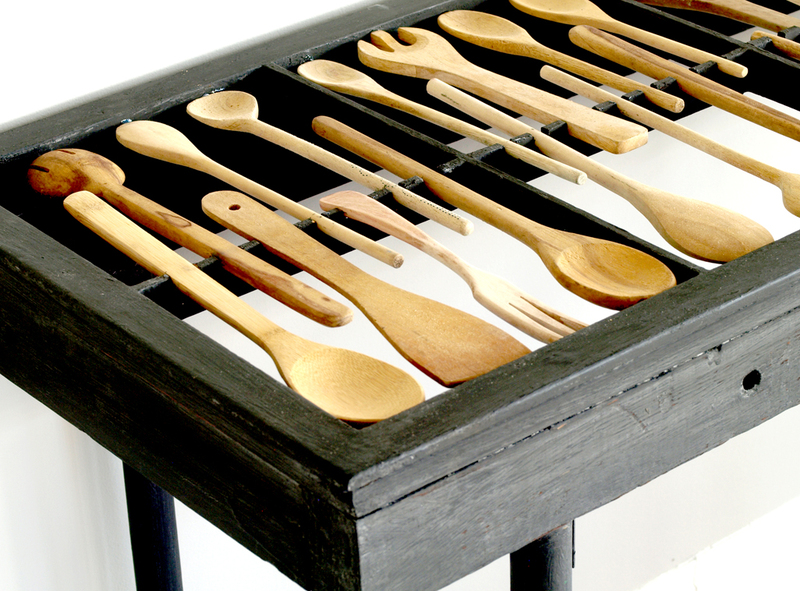 I have picked up many homeless wooden kitchen implements – spoons, bowls, pepper grinders, egg cups, and more. I love the sameness of each piece, and yet the way they come alive as the different types of the wood, finishes and wear and tear stand alongside each other.. I was delighted to be invited to be part of this year’s Intellectual Property Exhibition by Robin Opperman of Umcebo Design. 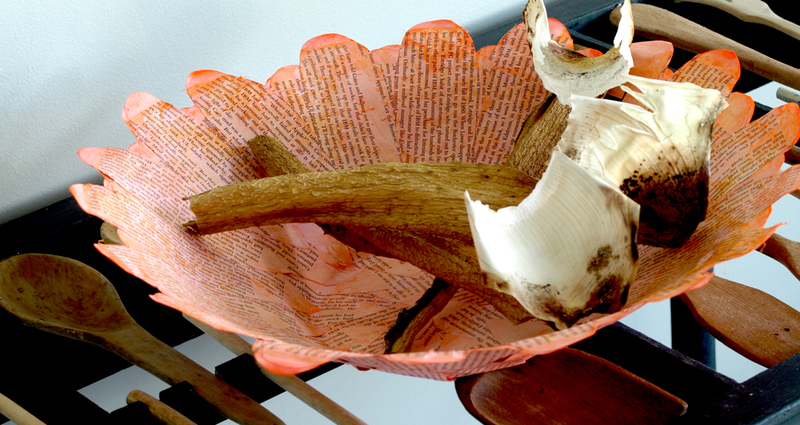 It has been the perfect opportunity to take some of my collection and turn them into a few practical pieces of craft – art. What a delight to create! 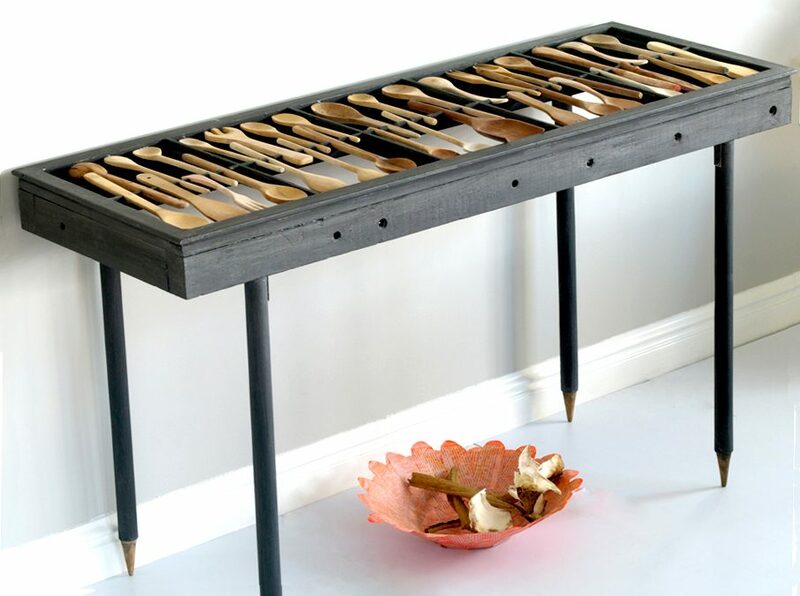 I wanted to make a table from wooden spoons (and a few forks). After much thought, the piece of furniture emerged, with legs from cricket wickets, and a table top platform made from an old cottage pane window frame. These gave me an opportunity to show off my collection of egg cups, salt and pepper grinders and random wooden bowls. So much fun to string these wooden gems together. 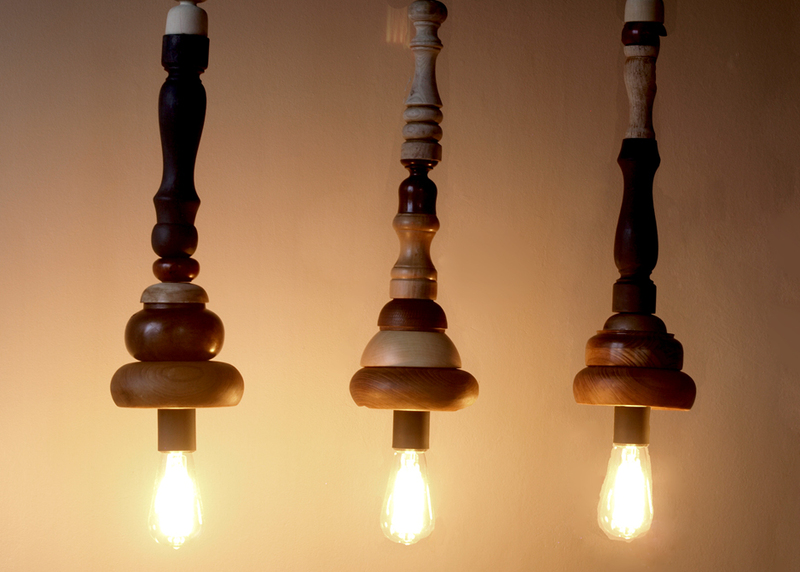 The final outcome is 2 sets of 3 wooden light pendants. NOTE – An enormous Thank you to my husband Graham, Without who’s huge help, these would still just be ideas.